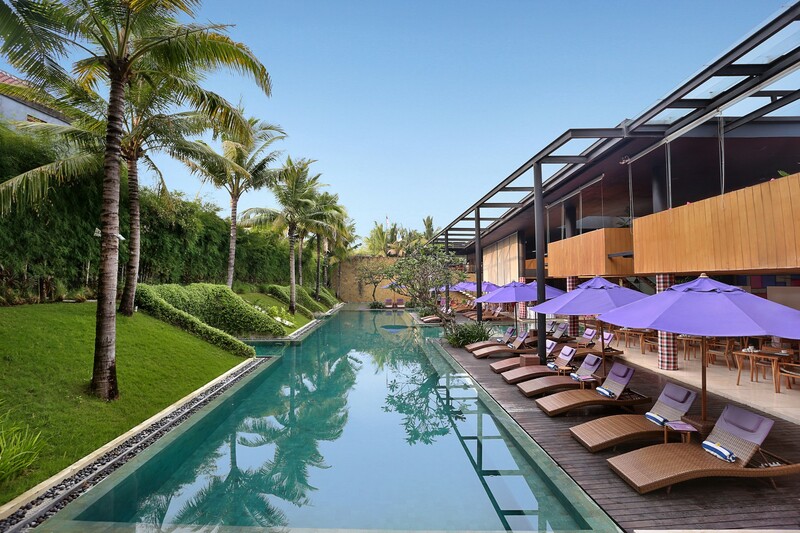 Taum Resort Bali, Seminyak is conveniently located in the heart of Kerobokan, Seminyak, Bali’s most renowned leisure and nightlife area. 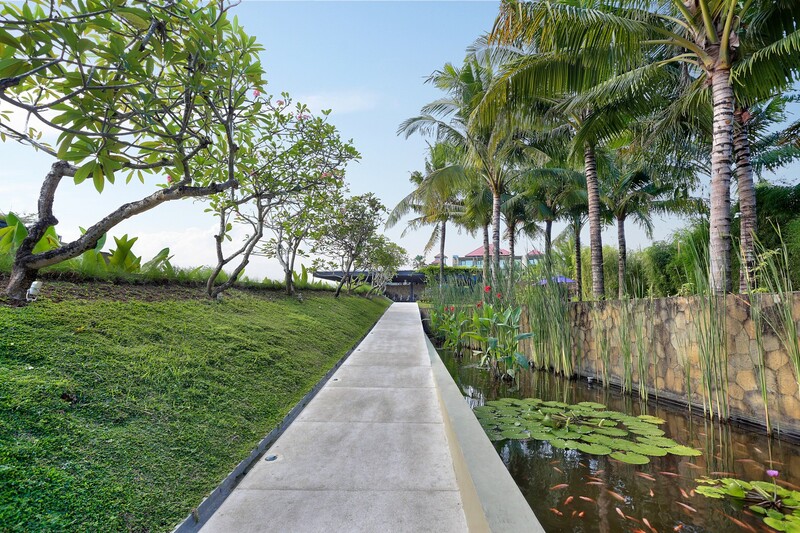 The property offers a distinctive architectural design that blends modern and traditional Balinese influences together and is only a short distance away from the beach. 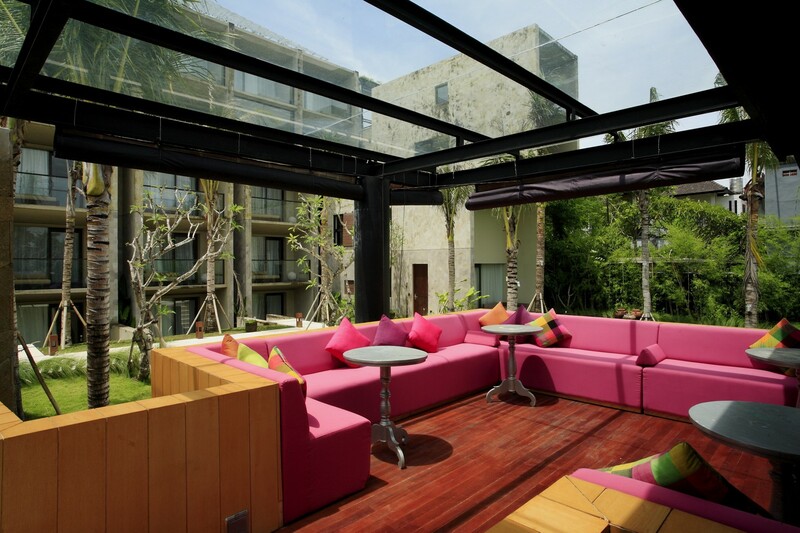 These rooms feature a balcony or spacious terrace with relaxing day bed. 3 adults or 2 adults and 1 child may be accommodated and the bathroom has a bathtub and separate shower. Located on the upper floors, the Taum Pool View Studios feature a balcony or spacious terrace with views of the swimming pool. 3 adults or 2 adults and 1 child may be accommodated and the bathroom has a bathtub and separate shower. 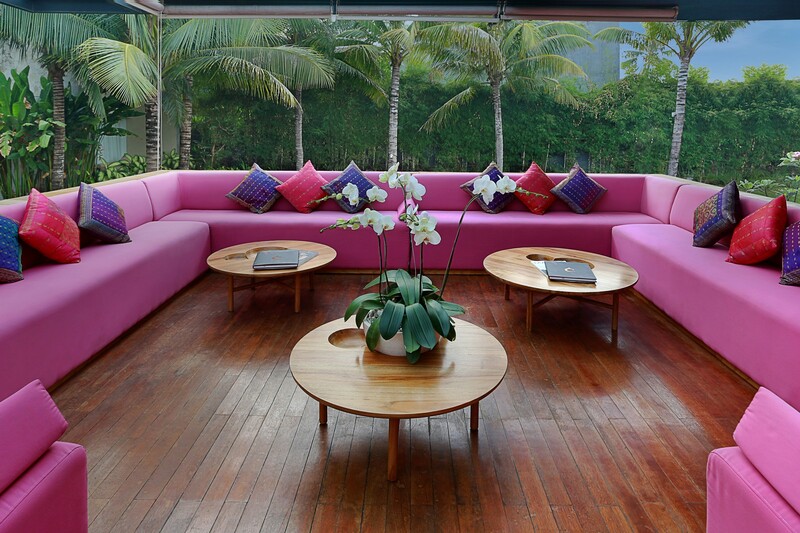 These rooms feature a separate lounge area, private terrace or balcony as well as the added benefit of a kitchenette. Up to 3 adults or 2 adults and 2 children may be accommodated in a king sized bed and double sofa bed. The bathroom has a bathtub and a shower. Private Pool Duplexes are spread over two levels. The private garden offers a comfortable space for relaxing as well as a private pool for refreshing dips. Up to 3 adults or 2 adults and 2 children may be accommodated in a king sized bed and double sofa bed. The bathroom has a bathtub and a shower. These rooms include a terrace with a 15 square metre plunge pool, this room category accommodates up to 3 adults or 2 adults and 2 children. The en suite bathroom features a separate bath and shower. Poolside all-day dining restaurant serving International and Indonesian dishes complimented by a selection of authentic Thai specialties for breakfast, lunch and dinner. Located above the Taum Restaurant, offering a wide choice of cocktails, alcoholic and non-alcoholic drinks, tea and coffee. Taum Spa has two suites and offers a choice of beauty treatments and massages.There is a separate venue dedicated to foot therapy and poolside massages can also be arranged.